Ready To Hire A Web Agency? Learn The Questions You Should Ask! Written for nonprofit organizations – but great for anyone looking to hire a web developer or agency! If there is one thing we have learned over our many years of doing web development for nonprofit organizations – it is that we work in an industry that does not have the best reputation. Sadly, this industry is filled with “agencies” and contractors that just want your money – they are not in it for your success. It is horrible when we see it with any client, but when we see nonprofits taken advantage of it really infuriates us! Although this guide is geared towards non profit organizations – anyone looking to hire a web design agency can benefit from this list. “We cannot add functionality to our website.” A second non-profit client referral came to us not too long ago asking if we can help them add some functionality to their admin on an existing website – they had terminated the relationship with their other developer and needed a replacement. After a brief consultation we decided to turn down the project. The whole website was coded in a PROPRIETARY content management system. Meaning – the company built it themselves and had built it in a way that made it really difficult for others to easily take it over. The client was not at all happy and did not realize it was not a “Standard CMS” when they hired the company to build it. This is a big issue going forward as the site grows and needs more functionality added to it – a lot of recoding will need to be done to redo the admin area the way they needed it. Also, many custom CMS systems require a yearly licensing fee, so you want to find out about that as well. GETTING TO KNOW THE AGENCY! 1) What is your experience with non profits? Find out how long they have been working with non profit groups, view their portfolio and ask about what they do to stay up to date on the industry to best serve their non profit clients. With the non profit segment it is important to have someone who understands the unique needs that are needed online to engage and convert. 2) How is your agency structured? Some agencies do hire full time employees while others are virtual and only hire contractors. There is no “right” way to do things. Typically virtual agencies can offer better rates, but can sometimes have delivery issues since there is no “controls” in place to manage staff. By checking references with current clients you can find out about any issues that may have risen with using a virtual agency you are considering. 3) What are the primary services you offer? You want to make sure what they offer fits your needs. If they primarily work with Drupal or Joomla and you want WordPress, then you may want to look for a group with that experience. We highly recommend finding a group that has the full web design, development, content and SEO experience you need to have a successful launch. All of these components have to come together to get a great result! 4) Do they have clients that love them? Don’t just ask for referrals – but ask how many clients they have that have been with them long term. Even if just for occasional maintenance you want to know that clients are coming back to them exclusively for help – that means they are trusted and had a great development experience. 5) How do they define a successful web development project? Some agencies focus only on industry awards as a definition of success, some utilize analytical data and conversions – which would you prefer? Many agencies will showcase awards to define their value – but you should be asking questions that are relevant to conversions, traffic and engagement to determine their value. Do they have case studies or data they can offer you to show their web development success stories? 6) What qualifications do they have? You want to be sure that whomever you are working with is a true professional and engages in their industry in other ways. Do they have any press mentions, speaking engagements or active memberships in related industry groups? 7) How long have they been in business? Be confident in who you hire! You want to be sure that the agency you work with has longevity to help you and that they have a solid history and financial strength to remain in business. Do a quick Google search to see how they are represented on line and to verify their historical information. 8) Will you be using a pre-made template or custom coding our website? — Ask them which template they would be using and request a link to the template so you can review it. You should look to see how often it is updated, if there are good reviews and if it meets your aesthetic needs. — Ask them if they will be using an Open Source CMS such as Drupal, WordPress etc or if they use proprietary CMS software. — If they use a proprietary CMS software – your team really needs to consider this carefully as it may be harder for you to find help in the future. Ask them about current clients using the system – ask to see the administrative area and definitely contact users of the CMS to find out if the development team is reliable, responsive and maintains their CMS. 9) Will we have a designated project manager? It is important for you to have a contact person to be able to ask questions and get updates on the project. If they do offer a project manager you should also ask what that persons level of technical experience is. They should be able to handle technical and design related questions – if they have to relay your questions to others to get the answers it can delay responses and cause confusion in the information being relayed. 10) Will our website work on all devices? CUSTOM – Custom coded mobile/tablet versions. Built separately from the core website. We do not recommend this unless you really need something unique with your mobile experience since this is like building a separate website and you will need to maintain it separately. RESPONSIVE – This is the most popular option. It is code that allows your existing website to “flow” into various configurations based on device width. There is some flexibility in this option for hiding features that may not be mobile friendly and adding areas on mobile only devices. It keeps the look and feel of your website consistent. PLUGINS – Some companies/developers will install a plugin that makes your device mobile friendly. This is the easiest and fastest way to create a mobile ready website but it typically lacks in any custom look or feel and is limited in any customizations. 11) Is stock imagery included? For most non profits it is all about storytelling! If you do not have images for a web developer to use, it is important to address who will pay for any stock images that are required for the website. 12) Will we receive all the files and have full ownership of the website when completed? Make sure that when the project is complete that all files and rights to the website are transferred to your non profit and that you receive full access to all code, images and content of the website. 13) Do you offer training to our staff, if so what kind? If your team is not tech savvy or you are transitioning to a CMS you are not familiar with then it is important you ask what kind of training you will receive. Some agencies will offer training via video, screen share or written instruction (sometimes all of them!) – while others offer no training. It is important to find a team that will assist you in the way you need it the most! 14) What kind of post launch support do you offer? Sadly, this is where we see a lot of bad things happen. 2 Dogs Media offers 30-60 days of support to all of our clients to ensure a smooth transition and to address any issues that may arise. If a problem comes up that is related to coding or technology – we are on board to jump in and fix it. If a new feature is needed that was not addressed in the original project scope, we will handle it. Not every agency offers great post launch support – it is critical that you address this and get FEEDBACK from their existing clients on how they handle support. 15) Are your rates hourly or by the project? While some agencies may offer a flat rate quote, they may actually bill “per hour” for a project which will leave you paying more in the end. It is important to know exactly what is included in your project scope for the rate they are giving you. 16) How do you handle CMS functionality – do you custom code or use plugins/modules? There are many different ways to approach functionality with a CMS. For example, because of the popularity of WordPress there is a huge directory of plugins that can offer just about any functionality you can imagine. The downside to this is security, site speed issues and maintenance. If a development company is using a lot of plugins on your website – you need to make sure those plugins are secure, frequently updated and can work with the latest version of WordPress. We have seen many plugins over the years not be maintained by the developer which in turn caused security issues and the loss of website functionality since it is not kept updated to the latest WordPress version. You need to address who will update your website, the plugins and how any issues that may arise from these updates will be addressed. 17) Will your agency add our existing or new content to the website? If you have an existing website it is important to outline who will be moving that content to the new website and if you need to refresh or add new content – who will be handling that? 18) Will you install and configure Google Analytics for us? Analytical data is critical for understanding if your redesign was successful and for knowing what you can do to improve your website experience. Web developers should install the tracking code for you and we also recommend they set up basic event tracking like contact form submissions and things so you have useful data to analyze. IMPORTANT: It is very important you provide the developer a Google login owned by YOUR group to install analytics. You do not want the developer installing it under their own Google account. If they should over go missing in action you will not be able to retrieve access to that account. We have seen this more often than we should. 19) Can we edit content on our own website? Even when using a CMS some agencies rely on the ability to bill you post launch for updates and content edits. You want to find an agency that will create a website for your group that will allow you to easily update your own website content and makes keeping the website fresh with content easy. You want to find a group that does not rely on future billing of editing services for their income stream – yes, they are out there! 20) Who do you recommend for hosting? You should definitely ask if your current host (if you have an existing website) – is a good option. Some of the cheaper web hosting companies like GoDaddy or HostMonster are not usually recommended by good agencies for many reasons (that is another post entirely!). Ask the company who they would recommend and why. 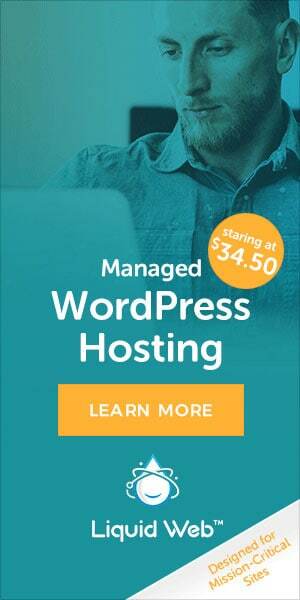 If they offer hosting themselves – ask who their server is with and if any monthly maintenance is included. We do recommend non profits have someone who can help them with monthly updates to keep the website secure and updated to the latest versions. This way if a plugin is conflicting with a new version of your CMS they can handle it for you! We have also created a comprehensive – unbiased post about website hosting options to help you learn more about some of the most popular hosts to help you decide what may be right for your website. 21) How does your design/development process work? Will you work with us on creating navigation structure and preparing a hierarchy? Can you offer suggestions for the functionality we need? Will you custom code this functionality or use plugins. Do you prepare wireframes so we can get an overview of content areas and site structure and content areas? How many design options will we receive? Will you provide a design proof for every page? Will we have access to the site while it is being developed? 22) What do you think of our current website? We love this question! If you have set-up an interview with an agency – then they should have spent some time reviewing your existing website to get to know more about your non profit and your mission. Asking this question will allow you to see if they have taken the time to get to know you and will offer a little insight into their level of interest. If you ask the question and they sound kind of stumped – that is an indicator they may not have even looked at your website! But this question can also help you define if the group has a vision that is close to yours. Do they see the same issues you see – do they like components that you like? You should definitely address the SEO issues! You may have to pay extra for some SEO services, but we believe anything related to URL structure or pages within the website should be addressed with the cost of the website redevelopment process. For example, if you have an existing website will the URL’s be the same? If they are going to change will the web agency handle the redirects to ensure you maintain any existing rank and that potential visitors get to the right page on your website? A good agency will do a content audit of your existing website so they have all the page information to be able to provide a useful guide for any required redirects.